Full Mouth Reconstruction | Comfort Care Family Dental P.C. The mouth is one of the most frequently used parts of the body, but like all parts and systems, it is susceptible to damage and disease. Full mouth reconstruction is designed to restore one's oral health. When a patient is told that they need full mouth reconstruction services, there is often a certain degree of confusion for the patient. How is this different than simply getting dentures or veneers? In most cases, full mouth reconstruction is done for reasons beyond simple aesthetics and appearances. Mouth reconstruction is done to protect the health of the patient, and because there are major problems that need to be corrected. Comfort Care Family Dental in Naperville, Illinois understands the differences and when full mouth restoration is in order. In these cases, the full mouth reconstruction is highly necessary to maintain the patient’s health. It protects against or corrects serious issues, such as infection and bone decay. A full mouth reconstruction isn’t a procedure that is recommended in order to just beautify your smile. It is prescribed when your mouth truly needs it, and nothing else will work. The good news is that, with modern dentistry, protecting oral health is easier than ever to achieve. We are here to help you protect your teeth and correct any issues that might be threatening your oral health. Taking care of your teeth at home can help you maintain your dental health between checkups. Here at Comfort Care Family Dental, we are ready to help you maintain your good dental routine. We will help you understand when a decision like full mouth reconstruction is the best choice. Comfort Care Family Dental is here to be the leader when it comes to dental and gum care in Naperville, IL. Come see the difference we can make for you and your family! Poor oral hygiene leads to the accumulation of plaque and tartar around your teeth and gum line. When this build up becomes severe, it will cause the gums to become red and inflamed- making them prone to sensitivity and bleeding. It will also cause tooth decay and gum disease. If you are not keeping up with your oral health and care at home, and do not keep regular dental cleaning and checkup appointments, you cannot maintain good dental health. You may well find yourself needing full mouth reconstruction services and other advanced procedures done to save your teeth, protect your overall health, and restore your quality of life. The good news is that being diligent about your dental health care and getting regular dental checkups can prevent many of the common dental and oral issues that dentists see. However, when full mouth reconstruction is necessary, putting your trust in Comfort Care Family Dental in Naperville, Illinois ensures that you are putting your oral healthy in the hands of trusted experts. The best way to help ensure a lifetime of good oral health is to start good dental hygiene practices from an early age. Despite all of the many advances in dental care that have been made, including those in full mouth reconstruction, one in four young children will have some form of tooth decay before they are school age. And even more shocking, is the statistic that half of all American children will get at least one cavity before they are 16 years of age. We at Comfort Care Family Dental in Naperville, IL know the importance of good oral health, and how to make it last a lifetime. The better you take care of teeth early in life, the better chance you stand at protecting your teeth throughout your life. Starting young is the best way to keep kids focused on the importance of maintaining good oral health. Full mouth reconstruction services are often needed as years of neglect and improper dental care finally accumulate into major issues that cannot be corrected any other way. Seal off trouble, like cavities, right from the start with young children in order to give teeth an extra line of defense. When all adult teeth are in, they should be coated with a special protective dental varnish. This helps strengthen the enamel. Putting a thin protective covering over the teeth helps seal the tiny, natural pits in the teeth and guards against stains, decay, and other common issues. Use fluoride, but not too much. Fluoride helps strengthen teeth and fight off the effects of tooth decay. Most Americans drink water that is already fluoridated, and that is usually enough to provide basic protection. But if you want a little more, just to be sure, then using a fluoride based toothpaste is the recommended way to go. It is important not to get too much into your system, though, and overuse of fluoride on the teeth can actually cause discolored white spots on the enamel. Brush and brush smart. 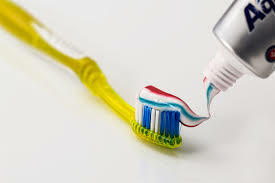 Brushing your teeth is the single best thing you can do for your oral health. Full mouth reconstruction services are generally not needed on people who follow a good tooth brushing routine daily. Brushing your teeth at least two times a day, for 2 minutes each time, is a great step to take in protecting oral health. Add to that, once-a-day flossing before bed, and you have a good line of defense to protect your teeth for years to come. Don’t smoke. Tobacco products like cigarettes, chew, snuff, cigars, and even smokeless tobacco products cause damage to your mouth and undo any good dental hygiene practices you are doing. Tobacco use stains teeth, and makes the risk of gum disease and oral cancer skyrocket. Just a few uses can put you at risk for these conditions, and the longer you use tobacco the higher your risk factors climb. The need for full mouth reconstruction among smokers is common. If you smoke or use chewing tobacco, consider quitting. You cannot fully reverse damage once it has been done, but you can avoid further damage and set a good example for your kids regarding how important it is that they do not smoke or use tobacco! Avoid sugary foods. One of the biggest reasons for full mouth reconstruction is the destruction of teeth and gums due to an excess of sugar. Sugars are among things that bacteria feed off of more than anything else. So when you eat and drink a lot of sugary food, those sugar particles get trapped against the teeth and gums, and bacteria will grow. They will begin to destroy the enamel and tissue of the teeth and infect the gums. Get and keep regular appointments. It is recommended to get regular dental checks and to see a dentists 1-2 times a year. Almost all tooth decay, and most gum disease, can be prevented if it is caught soon enough, which is why your dentists needs to be a part of your routine oral care plan. Your dentist will be able to detect any issues before they get out of hand and cause even bigger, more painful, and more costly issues like full mouth reconstruction. Make sure to take every opportunity you can to care for your teeth and gums the best that you possibly can with good oral care! The goal of regular dental care at home is to combat the buildup of plaque and bacteria, slow down decay, and the general wear and tear that occurs with teeth. Protecting oral health is an important part of day to day life, and far too many adults forget this childhood routine and end up ignoring this critical piece of the being-healthy puzzle. Adults who neglect their teeth and let plaque buildup, often develop infections in the delicate tissue around their teeth. Full mouth reconstruction services are often the only way these individuals can turn back time and reverse the damage that has been done to their teeth, gums, and mouths. At Comfort Care Family Dental in Napervillie, IL, we can help you get back on track!